Article from Lousiville Courier-Journal by Thomas Novelly. 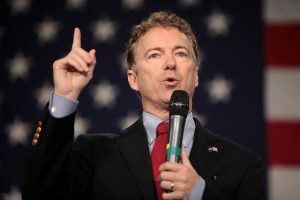 U.S. Sen. Rand Paul’s neighbor was sentenced Friday to 30 days on a federal charge of assaulting a member of Congress. Rene Boucher, 58, is also facing one year of supervised release and 100 hours of community service, according to Tim Horty of the U.S. District Attorney’s Office in Indianapolis. Boucher has been ordered not to make contact with Paul or his family and he must pay a $10,000 fine. Boucher, a retired doctor, assaulted Paul last year while the senator was mowing his lawn. Paul suffered five broken ribs and bruised lungs. Read the entire article at the Lousiville Courier-Journal. Can you say “Slap on the wrist”? I’ve heard of car thieves that get worse than this. What sort of a joke is this? Are you kidding me that is it!? Geez.. you can dam near beat someone to death and get community service!? Seriously?! I’m stunned this is outrageous! This poor guy who took pictures of a submarine got a year for that but you can almost beat someone to death a congressman btw and you get community service?! Paul is a senator from the state of Kentucky, not a congressman. Congress is comprised of the House of Representatives and the Senate. Americans don’t know their own language. HUH??? WOW! Absent that day at school??? Ohhhh I know why!! It’s because Rand Paul is a Republican!!! And his attacker was a Demoncrat!!! What was I thinking?? Hell I thought it might be a fair trial!! Stupid me! Ha!! That’s Liberal ‘justice’ for ya’! Liberal Judge? “Paul suffered five broken ribs and bruised lungs.” Serious Felony eliminates owning a firearm for life, loss of voting rights and a minimum of five years in federal prison. Fine should be 250,000 + and restitution should be a million bucks to the victim!!!!!!!!!! Thirty days in the can sounds like pretty meager punishment to me for a crime which gave someone several months of pain. Liberal jerks have been attacking conservatives every since Trump was elected president and giving them close to zero punishment isn’t likely to stop the attacks. The leniency toward the perpetrator, in view of the seriousness of the injuries, especially in combination with the circumstances, most importantly, that of the stature of the victim, surprises me. If he had assaulted a Democrat he’d have been sent to the electric chair. He should be in jail for years! He is a dangerous man and should not be out on the streets! We need new judges that think criminals are BAD! 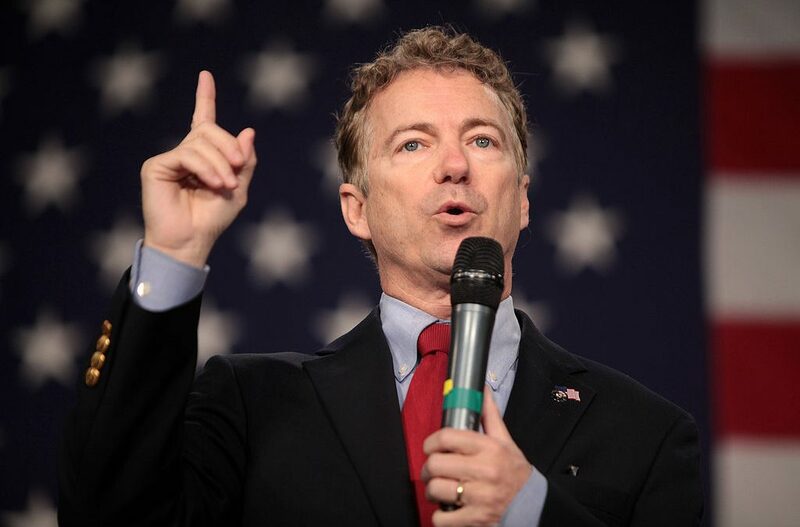 What an injustice to Sen. Rand Paul. Could you publish the name of the judge handling this case? It would be a big issue for every one to know who this judge is. Be sure to let us readers know.